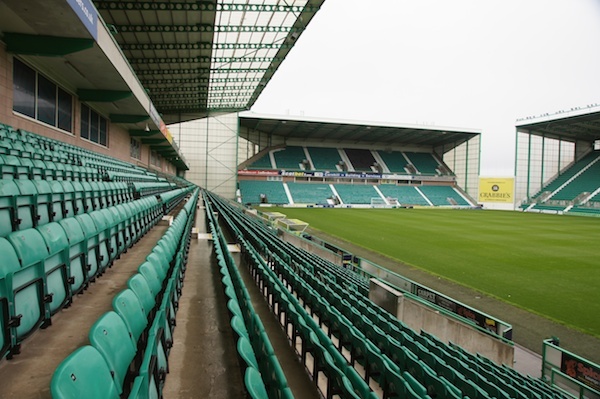 Hibs’ Chairman Rod Petrie has stressed that the unique share issue launched by the Club earlier this year had been a success. The accounts show that the share issue raised £500,000 in the six months from its launch to the financial year end on 31 July 2015. A further £40,000 was raised in the month of August making a total of £540,000 by the time the Share Issue closed on 31 August 2015. Almost 20% of Hibernian FC is now owned by supporters. The Board had given supporters the opportunity to subscribe for new shares with the prospect of owning up to 51% of the Club. No existing shareholders benefit from any money raised, with every penny being used to fund the Club’s sporting ambition. The Share Issue will be one of the topics discussed at the Club’s Annual General Meeting for Shareholders on Tuesday, December 15th. The accounts demonstrate that the Share Issue, coupled with the restructuring of the Club’s finances last December, have put the Club in a strong financial position at July 31 2015 despite facing a second season in the Championship, now sponsored by Ladbrokes, with a cash balance of £2.7 million up by more than £1 million on the previous year. This was due to a combination of the debt restructuring and the share issue. At July 31 last year the Club owed £6.3 million to Bank of Scotland and £3 million to the parent company, a total of £9.3 million. Bank debt has been cleared, and as part of the restructuring the Club secured a £5 million, interest free mortgage from the parent company, repayable over ten years. Monthly payments began in August this year. In financial terms, the Club lost £840,000 in the 2014-15 Season in the Championship as the Board chose to maintain the Club as a “Premiership club” despite being relegated. This meant maintaining expenditure on our squad – a factor which has been maintained again this Season as we make a concerted effort for promotion. The Chairman added: “The fact that we lost a substantial sum of money last year in the Championship will not be a surprise to anyone with an understanding of Club finances. The big reduction in trading income occurred when turnover fell from £8m in 2012-13 to £5.8m in 2013-14 in the Premiership. In fact, turnover in 2014-15 was a credible £5.6m in comparison to that, including a £500,000 parachute payment. The Chairman thanked every supporter who has bought shares, contributed to Hibernian Supporters Limited, or bought a season ticket or attended a match. Next articleDancing Thistles? It must be St Andrew’s Day!